Find out the best things to do in Bangkok! Bangkok has so many things to offer besides its glorious palaces and temples. From authentic culinary experiences to witnessing Thailand’s fantastic wildlife, Bangkok is a cosmopolitan and cultural jewel really worth visiting. Here are some recommendations of the best things to do in Bangkok. Safari World is the biggest zoo in Thailand. This zoo is where you can experience exciting activities from touching wild animals to watching spectacular animal shows. There are 2 divided areas. One is the Safari Park where you can drive through by car and the other is Marine Park which is described as a traditional zoo with interesting animal shows. Safari World offers an array of creative and interesting shows such as sea lion show, orangutan boxing, and a cowboy stunt show. It is highly recommended buying discounted tickets beforehand to save time and money. Even if you didn’t have time to book the ticket in advance, you can just book your ticket instantly here. And delicious buffet lunch is a big bonus! | How to get there: Take the Sukhumvit Line and get off at Mo Chit Station (or N8 Station) and go out through Exit No. 1 or 3. Take a taxi or bus no.26 or 96, stop at Fashion Island Shopping Mall, and use the overpass to go to the other side. Take a taxi or minibus to Safari World. Also read: Safari World Bangkok Ticket Deals on Trazy! 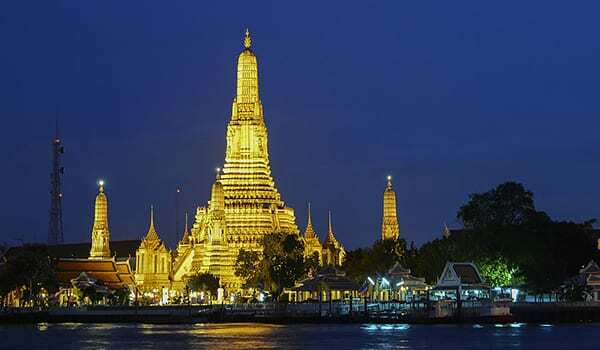 Take a cruise along the river and enjoy a nice dinner with great views as you sail past famous landmarks such as the Wat Arun temple and the Grand Palace. You can enjoy live music performances while having an extravagant dinner buffet. This will surely be a romantic evening if you’re on vacation with your loved one. This cruise is one of the best ways to explore Bangkok as you can enjoy a splendid view of historical landmarks from your dinner table. Make sure to book your dinner cruise ticket on Trazy.com to fully enjoy your magical evening experience. | How to get there: Take the MRT and get off at Hua Lamphong Station. Take a taxi to River City Bangkok. Calypso Cabaret Show is a must-see ladyboy cabaret show in Bangkok. With colorful and dazzling performances by Bangkok’s finest and most talented ladyboys, Calypso Cabaret is one of the oldest cabarets shows that celebrates human diversity and the spirit of tolerance. Located in the bustling entertainment area of Asiatique the Riverfront, alongside the Chao Phraya river, the Calypso theater is surrounded by shops, bars, and restaurants. Before you go to the venue, make sure you grab a discount ticket here to save time and money. Silom Thai Cooking School is a great way to learn how to make your own authentic Thai dishes. If you are interested in the authentic tastes of Thailand, enroll in Silom Thai Cooking School in Bangkok. You will pick up your fresh ingredients in a local Thai market and cook your favorite Thai dishes to learn some essential cooking skills so you can make authentic Thai dishes back home in your own kitchen. The staff is very professional with years of experience and by just simply following their instruction you will learn to make some truly delicious Thai dishes. All classes are in English and are hands-on experiences. You can pre-book your cooking class at a discounted price here. | How to get there: Take the BTS and get off at Chong Nonsi Station. Formerly known as Siam Ocean World, SEA LIFE Bangkok Ocean World is the largest aquarium in Southeast Asia. SEA LIFE Bangkok Ocean World has more than 30,000 ocean creatures in their huge tanks, and they have several sections, each with their own unique aquatic theme. Located in the famous Siam Paragon shopping center in the heart of Bangkok, the aquatic wonderland offers an immersive underwater experience. You can not only explore the underwater creatures but also participate in exciting activities such as glass bottom ocean feeding boat, 4D cinema and behind the scenes tour. Through this behind the scenes tour, you will get to see how the aquarium is operated. | How to get there: Take the BTS and get off at Siam Station. Oasis spa is ready to serve you the high-quality massage at a splendid ambiance. There are several options for you to choose such as Aromatherapy hot oil massage, Siamese therapeutic wisdom, and Traditional Thai body massage. Despite the nailed services, you can also get relaxing time with the enchanting ambiance and the ornamented decoration. The herb aroma in the air provides the pleasure and calmness to the max. Currently, the Oasis spa has 2 branches in town. All of them are located nearby the BTS Skytrain. You can pre-book the Bangkok Oasis Spa at a discounted price here. | How to get there: Take the BTS and get off at Phrom Pong station, there is a free shuttle bus from the station to each branch. If you are looking for a dazzling show, we highly recommend you the Siam Niramit show! Siam Niramit theater strikes the visitors from over the world by the fancy performances of Thai culture and beliefs. The gorgeous costumes, magnificent setting, and fascinating light and sound won’t disappoint you. The 80-minute show perfectly describes the facts and stories of the Thai history with the energetic performance of over hundred performers. The story is separated into 3 main parts, allowing audiences to take the journey along the authentic Thai history, Thai belief of 3 realms, and Thai joyous festivals’ background. Besides the performance, Siam Niramit is also notable for its dining room. It serves the original Thai cuisine with several dishes of both main courses and sweets. Don’t miss your chance! The show will be played only one round per day! You can buy the show ticket seat and dinner option at a discounted price here. | How to get there: Take the MRT and get off at Thailand Cultural Centre station, there is a free shuttle bus from the station to the theater. +) What else to do near Bangkok? If you are a cultural explorer, take a moment to check out Sampran Riverside Village Workshops. You can encounter the traditional Thai way of living and arts here and it is only an hour away from Bangkok! It is a great destination to learn diverse traditional Thai cultures such as handicraft weaving and making pottery, garland and a lot more. They also offer an array of traditional performances as well. You can purchase Sampran Riverside Village Workshops Discount Ticket here. Thailand is a paradise for those who love shopping and eating! You can easily find food from every corner of the town, and there are so many options for you to choose, from the street market to the elegant shopping mall. The highlight spot for a local attraction is Damnoen Saduak Floating Market. There are various local foods and products at cheap price. Vendors selling goods in wooden boats through the tiny canal. Not far from the floating market, there is another popular and super unique ‘Umbrella Pull Down Market’ or MaeKlong Railway Market. When there is no coming and going train, the railway becomes as a local market. On the other hand, when the train is coming, all merchants will move their products and tents away! Want to see how is it going? Make sure that you already book the Damnoen Saduak Floating Market Tour + Maeklong Railway Market Option here. If you need a private taxi driver while in Bangkok thus you can have flexible itineraries, click here. Click on each attraction for more info! 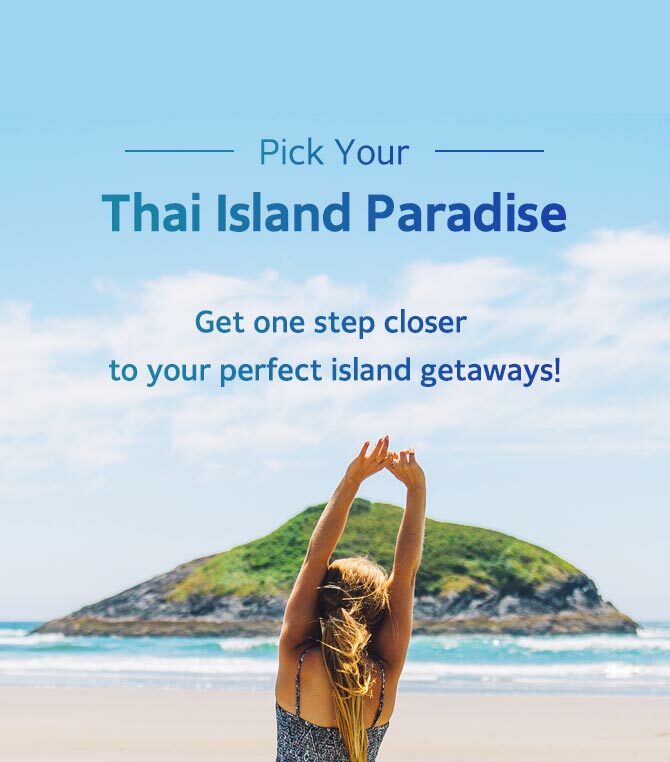 For more travel tips and ideas for your next trip to Thailand, make sure you visit Trazy.com, Asia’s #1 Travel Shop! For any assistance regarding your trip, please kindly send us an email to ‘inquiry@trazy.com’. We will check and get back to you with details!